Despite summer being in full swing, Mike Crews and the rest of the surfers who enjoy North Carolina’s Crystal Coast are longing for fall and winter. That’s when the best waves occur along the Southern Outer Banks. 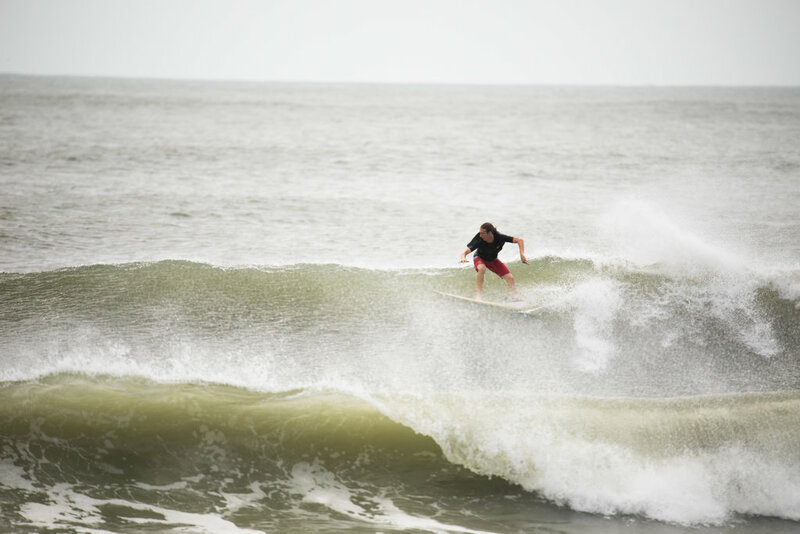 Crews, a veteran surfer and owner of Hot Wax Surf and Paddle Sports, says the area’s best surf season is August through December. The south-facing beach becomes an amalgam of cooler breezes and weather (nor’easters) coming down from Canada and tropical fronts coming up from Africa. The Crystal Coast, an 85-mile stretch of beaches and towns, has seen an increase in popularity as visitors search for a less-crowded experience compared to the popular and famed Outer Banks to the north. According to the tourism board, the Crystal Coast welcomes 2.25 million visitors per year, including an estimated 1.3 million from Memorial Day through Labor Day. These beaches boast a shallow slope that gradually descends which makes accessing the waves, most breaking further out from shore, easier. Locals and visitors prefer to surf near the many piers where the waves tend to be bigger due to friction of the nearby wooden pilings. Bogue Inlet Pier, located in Emerald Isle, is considered the area’s home break, according to Crews. 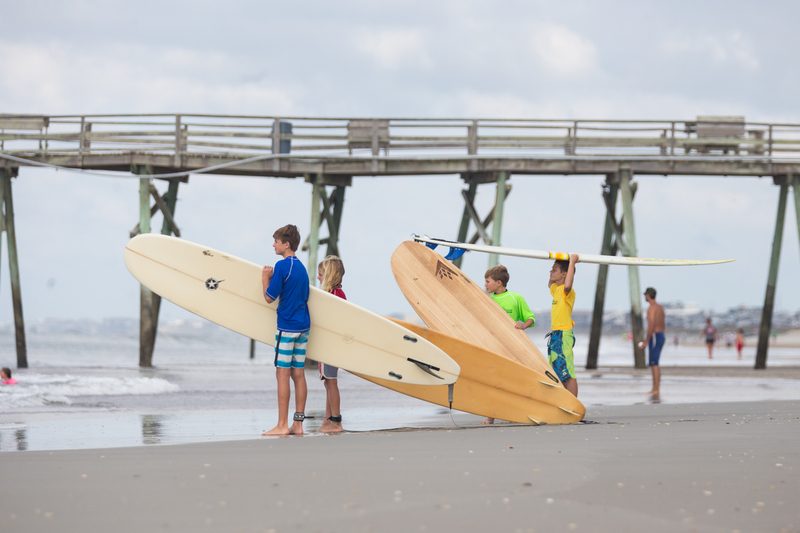 Not only do surfers frequent pier-adjacent breaks, such as Oceanana Pier in Atlantic Beach, quality swells and surf can be found at public spots at Fort Macon State Park, the Circle (Atlantic Beach), and Eastern Regional and Western Regional beach access points. Because the breaks are sand-bottom, sandbars can move frequently based on storms, so surfers are constantly on the move along the coast looking for the best waves.